Please fill out the Naperville Park District Party Waiver below. Each child attending a party will need to have a waiver on file. Warning of Risk: Recreational programs are intended to challenge and engage the physical, mental, and emotional resources of each participant. Despite careful and proper preparation, instruction, medical advice, conditioning, and equipment, there is still a risk of serious injury when participating in any recreational program. Understandably, not all hazards and dangers can be foreseen. Depending on the particular activity, participants must understand that certain risks, dangers, and injuries due to inclement weather, slipping, falling, poor skill level or conditioning, carelessness, horseplay, unsportsmanlike conduct, premises defect, inadequate or defective equipment, inadequate supervision, instruction or officiating, and all other circumstances inherent to indoor, outdoor, and water related recreational programs exists. In this regard, it must be recognized that it is impossible for the Naperville Park District to guarantee absolute safety. Waiver and Release and Assumption of Risk: Please read this information carefully and be aware that in registering for and participating in this program, you will be expressly assuming the risk and legal liability and waiving and releasing all claims for injuries, damages or loss which you or your minor child/ward might sustain as a result of participating in any and all activities connected with and associated with this program (including transportation services, when provided). I recognize and acknowledge that there are certain risks of physical injury to participants in this program and I voluntarily agree to assume the full risk of any and all injuries, damages or loss, regardless of severity, that my minor child/ward or I may sustain as a result of said participation. I further agree to waive and relinquish all claims I or my minor child/ward may have (or accrue to me or my child/ward) as a result of participating in this program against the Naperville Park District, including its officials, agents, volunteers, and employees (hereinafter collectively referred to as “Naperville Park District”). Aquatics: I specifically recognize and acknowledge that there are certain inherent risks of physical injury to patrons of aquatic facilities, and I voluntarily agree to assume the full risk of any injuries, damages or loss, regardless of severity that my minor child/ward or I may sustain as a result of participating in any and all activities and programs connected with or associated with use of aquatic facilities. I further recognize and agree that lifeguards and other aquatic staff are not responsible for supervising my activities or the activities of my minor child(ren) and I agree that I am solely responsible for supervising my minor children and/or assessing whether my children are physically fit and/or adequately skilled for aquatic activities. I additionally agree to supervise any children ages 7 and under at all times. Release: I do hereby fully release and forever discharge the Naperville Park District from any and all claims for injuries, damages or loss that my minor child/ward or I may have or which may accrue to me or my minor child/ward and arising out of, connected with, or in any way associated with this program. Photo/Video Policy and Warning: Photos and video footage are periodically taken of people participating in a Park District program or activity, attending a class or event, or using District facilities or property. Please be aware that by registering for a program or class, participating in an activity, attending an event, or using District facilities or property, you authorize the District to use these photos and video footage for promotional purposes in District publications, advertising, marketing materials, brochures, event flyers, social media (including Facebook, YouTube, Instagram, Twitter, and other social media sites operated by the District), and the District’s website without additional prior notice or permission and without any compensation to you. All photos and videos are property of the District. I have read and fully understand the below, warning of risk, assumption of risk, waiver and release of all claims, and photo/video policy and warning. If registering online, my online signature will be substituted for and have the same legal effect as an original hard copy signature. PARTICIPATION WILL BE DENIED if the signature of adult participant or parent/guardian and date are not included. 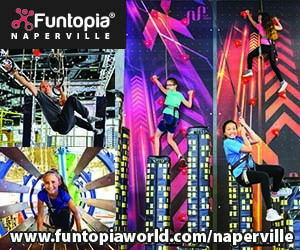 Thank you for submitting the Naperville Park District Birthday Party Waiver. Please make sure to submit one for each child attending the party.